Nothing strikes fear into the hearts of moms quite like the threat of these creepy-crawly creatures. Just in time for back-to-school season, a super strain of resistant head lice is making its way into the scalps of kids in the majority of states across the country. But before you start scratching uncontrollably, there’s a bit of good news. While these insidious pests have become impervious to pyrethroids and pyrethrins — the active ingredients in popular over-the-counter remedies (talk about survival of the grossest!) — new prescription treatments are reportedly more effective than ever. This news comes just in time as 100 percent of lice tested in 42 out of 48 states had evolved to the point that treating them with those familiar remedies was far less effective in killing them. Amesh A. Adalja, MD, FIDSA, FACP, a board-certified infectious disease physician at the University of Pittsburgh, explains what’s going on and what parents can do to fight these critters. What does the doctor recommend? Ivermectin topical lotion, which has proven effective in treating these resistant strains and can be used in those above the age of 6 months. But what if you’re a parent who doesn’t want to put chemicals on your child’s head to solve the problem? 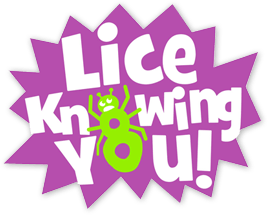 If you fall into that category, it’s good to know that places like Lice Knowing You, a lice removal service with eight clinics in four states, exist. Nancy Gordon, chief executive officer of the company, says while these resistant lice are getting a lot of attention lately, they’ve been around for at least a decade. Even in light of that, Gordon still advocates for a more natural treatment. While there’s nothing fun about dealing with a lice problem, it’s good to know there are solutions out there and that vigilance is perhaps your best offense.